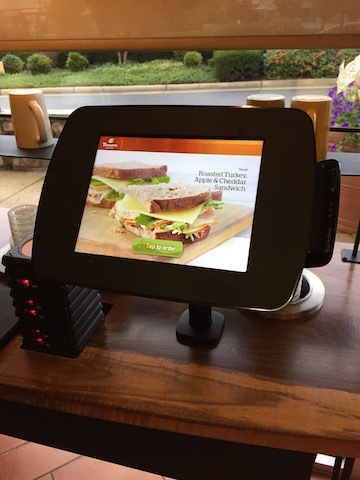 We tried out the new ordering Kiosks at Panera yesterday and it went well. You do the ordering and payment at them, then pick up a notification device and wait for the call. This reminded me of an NPR Planet Money (I think) podcast a few months ago about how restaurant service jobs are being eliminated by kiosks like these. The episode said that eventually the only humans required will be the cooks and table runners. With the Panera kiosk the table runner is not even needed. Panera had 4 of these kiosks working in parallel with the registers. When I looked at the people at the registers I wondered what their plans are? This brings up the subject of jobs in general and how automation is the biggest threat to some positions that do not require specific skills.